Carat is the weighing scale or unit of weight of a diamond. The word carat has its roots in Greek. Back then, c arob seeds were considered to have consistency in their mass. Hence it became a comparative measure easing out the trade of diamonds. 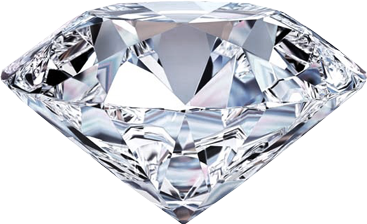 Carat has remained a comparative or a relative measure for diamonds for a long time. The net weight of a carat was different from place to place until 1907 when carat was defined and therefore standardized. One carat today is equal to 0.2 grams i.e. size of a paperclip. A carat is divided into one hundred points. When you are shopping for a diamond, carat would be the most common term you’ll hear from jewelers, and that’s how diamonds are presented besides many other features or shapes of diamonds. Many diamond sets or rings will have more than one diamond in them. Therefore, the cumulative weight of all diamonds would be displayed on the description of that particular item. In that case you will see the total carat weight (TCW/TW) which is the total weight of all diamonds in that particular jewelry. Since every carat is divided into one hundred points, you’ll find diamonds in different ranges e.g. 1.25 carats or 0.25 carats. Imagine a dollar in your mind –1.25 carats would be like one dollar plus a quarter of a dollar or 0.25 carats would be like a quarter of a dollar. The larger the carats weight of a diamond, the higher its price per carat! Two engagement rings each having a diamond weighing one carat may cost $2,000 each whereas one ring having a two carats diamond may cost $10,000. Generally speaking, a bigger diamond can be considerably more expensive than a smaller one. For example, a Round SI1 F V.Good Cut 1ct would be $4,800 and a similar 2ct would be $15,000 (the per carat weight of the 2ct. one becomes $7500). At the same time there are many other factors that determine the price of a diamond. This includes the Color, Clarity, and Cut of a diamond, among others. Carat weight of a diamond can be determined by taking following measurements (in millimeters) of the diamond: Measurement (table up) across the widest points, Measurement (table up) across the narrowest points and depth or height of the diamond. Once these measurements are taken, they can be put into any online diamond carat weight calculator that will ask you about the shape of the diamond in addition to the above measurements to give you the exact weight in carats for your diamond.